Logan, Andrea, and I find a shop making giant English muffin-like pastries stuffed with beef and onions. Panko-fried oyster lettuce wraps and economics. 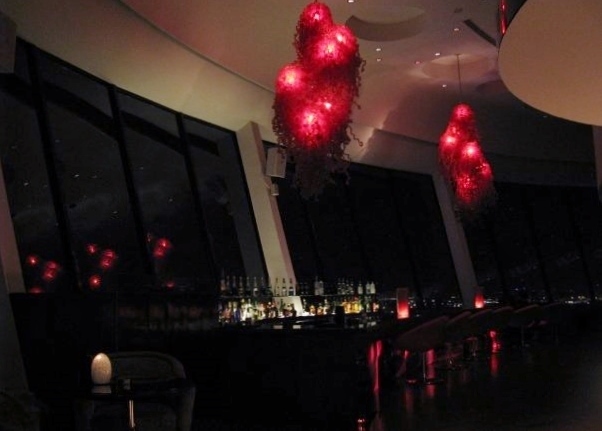 We finish the night with a cocktail on the top floor of the Shrangri-La with great views of the city lights.